Alice for the first time is a black woman surrounded by an entirely black fantasy world on a journey of self-discovery. The production directed by Jeremy Cohen includes an impressive team that includes world-renowned choreographer Rennie Harris. 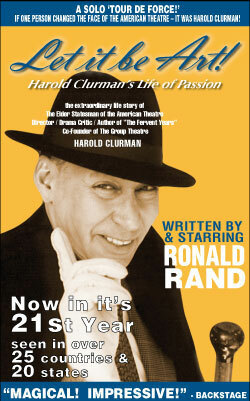 His widely-known “Rome & Jewels,” which he choreographed and directed in collaboration with dramaturg Ozzie Jones and composer/sound designer Darin Ross, uses Shakespeare’s text, in addition to original material contributed by the cast, tells a story based on “West Side Story” and “Romeo and Juliet.” “Rome & Jewels” remains the longest touring hip-hop dance theater work in American history, receiving three Bessie Awards, two Black Theater Alvin Ailey Awards, a Herb Alpert Award and a Lawrence Olivier Award nomination. Baltimore’s Center Stage very impressive season continues in 2018 with: Dominique Morisseau’s “Skeleton Crew,” George Orwell’s “Animal Farm” adapted by Ian Wooldridge, and “Soul, the Stax Musical” book by Matthew Benjamin with music and lyrics by various Stax artists.